Forbes Travel Guide recently released its 2017 Star Award winners, and I was thrilled to see that several Napa Valley luxury properties earned a five-star rating. Forbes’ exclusive list includes some of my favorite destinations in Napa Valley. The Forbes Travel Guide 2017 Star Award winners are a global group of the world’s finest hotels, restaurants and spas. Ratings are based on rigorous standards that focus on graciousness, thoughtfulness and a sense of personalized service. Whether you’re new to Napa Valley or a Napa native, these top-rated luxury getaways are well-worth visiting. Auberge du Soleil: This Mediterranean-inspired resort is terraced along a sunlit hillside and nestled among a 33-acre olive grove. On the slopes of the Rutherford Hill, high above the valley floor, the “Inn of the Sun” is world-renowned for its Michelin dining, award-winning spa, breathtaking views and exceptional service. 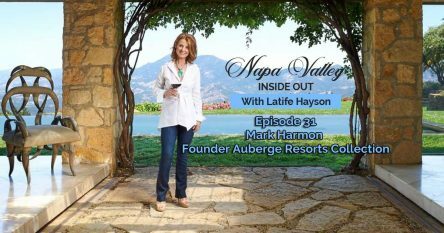 Solage, An Auberge Resort: This contemporary luxury resort in Calistoga is renowned for exceptional service and unparalleled attention to detail. Surrounded by mountains and vineyards, the resort sits on 22 acres and features 89 guest studios and 6 suites, an award-winning spa, as well as its eight-time Michelin Star-rated restaurant, Solbar. The French Laundry: Chef Thomas Keller’s world famous restaurant in Yountville features a nine-course French or vegetarian tasting menu that changes daily but always relies on seasonal produce and organic meats. The excellent staff makes the experience casual yet refined and, above all, memorable. The Restaurant at Meadowood: Chef Christopher Kostow’s clean, locally driven California cuisine is featured in a four-course or a chef’s tasting menu, with wine pairings carefully selected by the restaurant’s master sommelier, Gilles de Chambure. Tables can be reserved inside or on a patio overlooking the resort’s rolling grounds. Meadowood Spa: This new spa, which opened late 2015, is located on a hill above the tennis courts, and feels more like a wellness retreat than it does a traditional hotel spa. All treatment times last at least 90 minutes and begin with a conversation with a spa therapist, who will customize a treatment specifically to your needs. Earning a five-star rating from the Forbes Travel Guide is a prestigious honor. 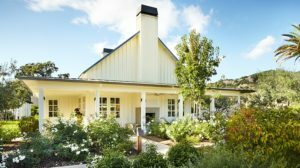 Both Solage and the Meadowood Spa are new to the list, making Meadwood the first Five-Star spa in Napa Valley. All of these Napa Valley luxury properties provide comfortable yet extravagant experiences that are sure to leave guests feeling pampered. The Five-Star Award Winners from the Forbes Travel Guide truly meet the highest standard of luxury. 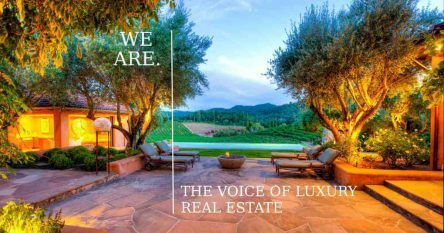 If your visit to one of these Napa Valley luxury properties includes an interest in real estate, I have access to some extraordinary wineries, vineyards, estates and homes that are not on the open market and would be delighted to help you find your dream wine country property. You can reach me at 707-738-4820 or [email protected].